Agence France-Presse (AFP) recently reported from Washington DC that Lobsang Sangay, the Prime Minister of the Tibetan government-in-exile had declared that he accepted: “the Communist Party's rule in Tibet”. According to AFP, during a visit to Washington, Sangay assured Beijing that “[China] will face no threat to its sovereignty if it eased its grip [on Tibet]”. Sangay is naïve when he states that he assumes that Tibetans could get “decision-making positions in the region - notably Party Secretary”; adding that “he was not challenging the structure of the ruling party.” He is probably the only Tibetan to believe this. Many in Dharamsala will be relieved by this comment. While Sangay is preaching a rapprochement with the Communist regime, the Party continues its attack on the Dalai Lama. The Tibetan lady-official told PTI: “The Dalai Lama has been living in India as a guest. The Indian government has said that it will not allow the Dalai Lama to indulge in any political activity. 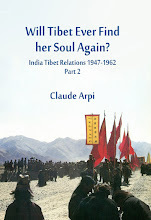 China has full confidence in [the Indian Government].” She added that Tibetans in exile were welcome to return to Tibet ‘on an individual basis’. Is Lobsang Sangay ready to listen to his countrywoman Cui, and ‘try’ the Communist regime’s rule on the Roof of the World? It is doubtful that there will be many takers in Dharamsala. Further, the Communist leadership can always argue that they have already started implementing the devolution of power. Beijing will say that the Standing Committee of the CCP’s Tibetan Autonomous Region already consists of 7 Han and 6 Tibetans: (in order of precedence: Chen Quanguo, Han, Secretary; Jampa Phuntsog, Tibetan, Deputy Secretary; Padma Choling, Tibetan, Deputy Secretary; Lobsang Gyaltsen, Tibetan, Deputy Secretary; Wu Yingjie, Han, Executive Deputy Secretary; Deng Xiaogang, Han, Deputy Secretary; General Yang Jinshan, Han, Member; Jin Shubo, Han, Member; Gungpo Tashi, Tibetan, Member; Chodak, Tibetan, Member; Norbu Dhondup, Tibetan, Member; Dong Yunhu, Han, Member; Liang Tiangeng, Han, Member). What would Lobsang Sangay do if he was co-opted into the above group? As long as the Party exists, it is difficult to see ‘democracy’ being introduced on the Roof of the World or in the Middle Kingdom. Without democracy a ‘genuine’ solution seems a mere chimera. But much more serious for India, Sangay said that Dharamsala will "not challenge China's sovereignty or territorial integrity"? 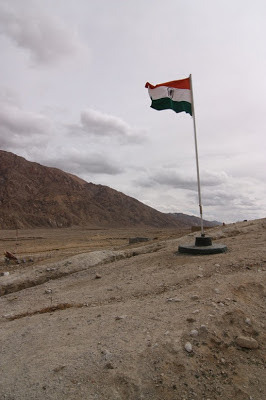 When Chinese troops entered Daulat Beg Oldi (DBO) in Ladakh, Beijing said it was China's territory. Is Lobsang Sangay ready to accept this definition of China's of 'territorial integrity'? Take another example: Okinawa. Recently The People's Daily published an article arguing that China has ‘ownership’ rights over the Ryukyu islands’ chain, which includes Okinawa island, where several US bases are located. The Chinese scholars argued that the agreement between Japan and the Allied Forces during the World War II, giving the ownership of the Ryukyu Islands to Japan, should be questioned. Later asked if China considered Okinawa part of Japan, Hua Chunying, the Chinese Foreign Ministry spokeswoman just said scholars had long studied the history of the Ryukyus and Okinawa. 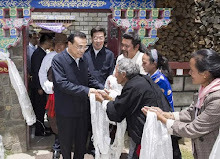 Will the Tibetans support by Beijing’s position on China’s ‘territorial integrity vis-avis Japan? Closer to us is Arunachal Pradesh; China claims the entire state of Arunachal Pradesh as its own territory [i.e. Southern Tibet]. 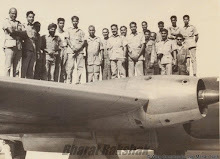 Does it mean that Dharamsala will not “challenge China's sovereignty or territorial integrity”? Will the Tibetans deny that they had signed an agreement with India in 1914 delineating their common border (at least in India’s North-East). Let us not forget that most of the Chinese claims along the 4,000 km Sino-Indian border (which was the Indo-Tibet border till 1954), are based on what used to be Tibetan ‘incursions’ south of the McMahon line in Tawang, Lohit, Siang and Subansari sectors. What will be the Tibetan position, if they do not want to challenge China’s territorial claims? What about the relatively less-known central sector? 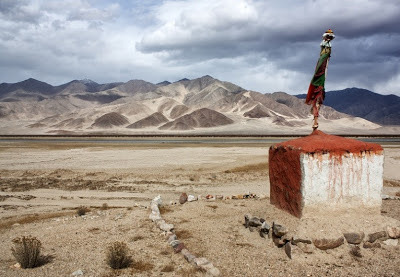 For example, the Chinese claims in Barahoti (called Wuje by China) in Uttarakhand are based on the occasional ‘visit’ by some Tibetan herders south of the Himalayan watershed in the area; ditto for the nearby valleys of Sangchamalla and Lapthal. The Nilang/Jadhang in the Jadh Ganga valley, north of Gangotri, also claimed by China because some Tibetan tax-collectors would have occasionally entered before 1950 what has always been part of the Tehri State. 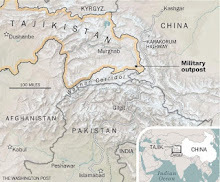 Beijing has also claimed the Hupsang Khud, west of Shipki Pass, in Kinnaur district of Himachal Pradesh. In a new set up, will the Tibetans side with the People’s Republic of China in their territorial claims? Another serious issue is that under the Middle Path scheme advocated by Lobsang Sangay, ‘foreign affairs and defence’ would be under the Central Government, while the local Tibetan government would enjoy a ‘genuine’ autonomy in subjects like culture or education. In such a scheme, in the case of a ‘stand-off’ such as the recent one in Ladakh or a larger conflict like in 1962, what will the stand of the Tibetans be? Will they challenge China’s position or will they side with India which has generously granted them asylum for more than 50 years? It is a valid question. A last side issue: since he ascended to the Middle Kingdom's throne, the new Emperor Xi Jinping has proclaimed the Great Dream of China: 'The China Dream will bring blessings and goodness to not only the Chinese people but also people in other countries.' The Chinese intrusion in Ladakh certainly did not fit with what India had understood of Xi’s Dream. This brings another question: do the Tibetans have a Dream? It can’t be to live under the yoke of the Communist Party of China. 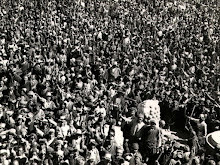 Most of the 120 Tibetans who immolated themselves certainly had a Dream: “To see a Free Tibet in their next lives”.